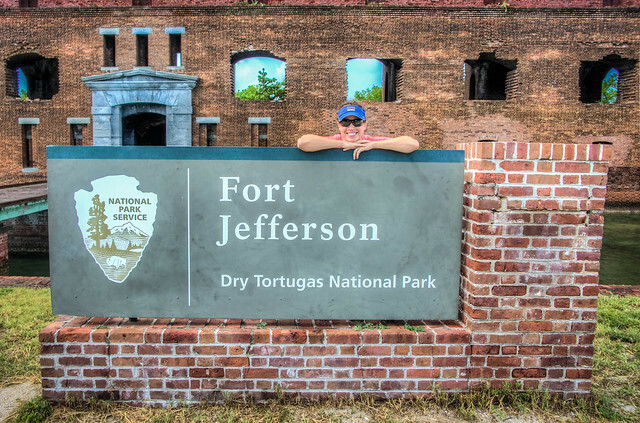 If you’re heading to the Dry Tortugas (and everybody should! 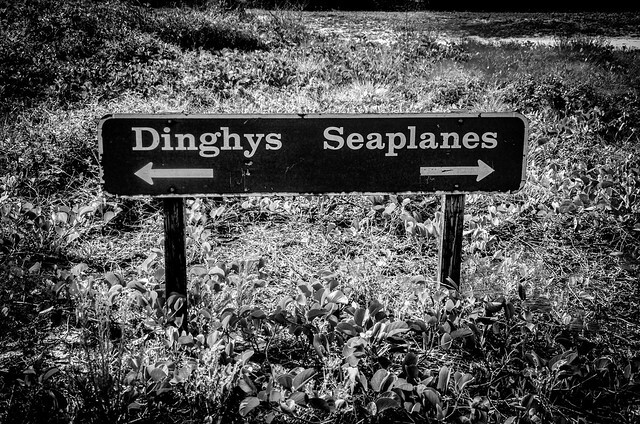 ), a seaplane is the ONLY way to go. Half of the adventure is the ride there and back, gliding over vast underwater sand dunes, watching the sharks and turtles swimming, and seeing the many abandoned Cuban boats littering the out islands. Quite an adventure in itself, and that’s not even touching on the amazing island that Fort Jefferson is. Definitely a must-do for any Floridian, and it should be high on the list for any other American to go see. 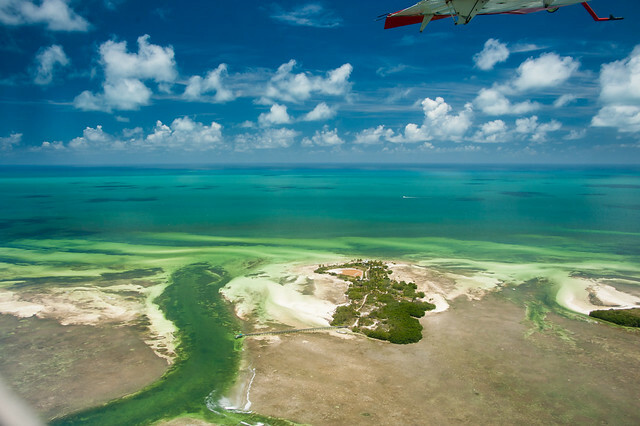 An amazing private island out in the Gulf of Mexico between Key West and the Dry Tortugas National Park. 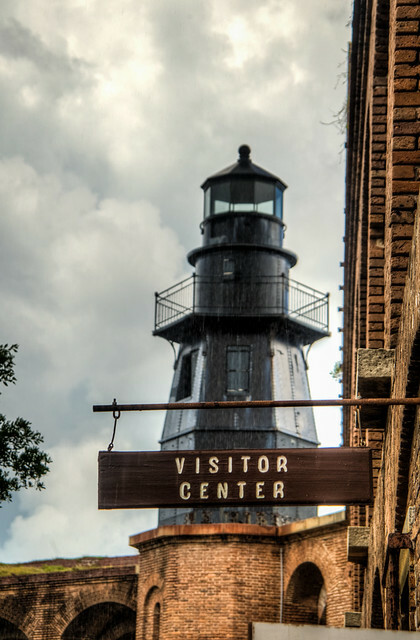 There is a very nice visitors center at Fort Jefferson at the Dry Tortugas National Park. Colette poses with the Fort Jefferson sign at the Dry Tortugas National Park. 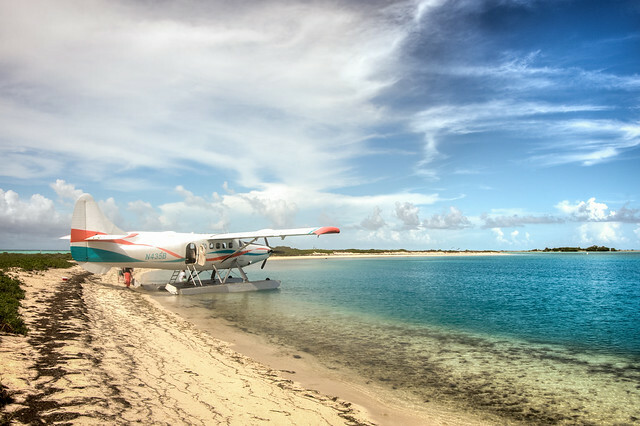 Our seaplane awaits for us to head back to Key West. I titled this one Surf (self-explanatory) or Nerf (think of a Nerf football flying through the air) for lack of anything better to caption it with. 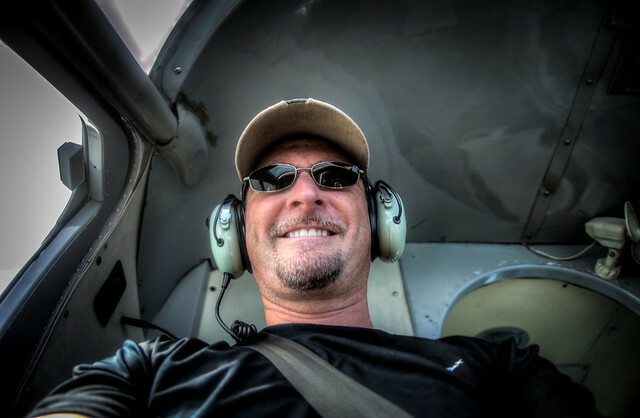 The dashingly handsome copilot guides the airplane back to the Key West airport. 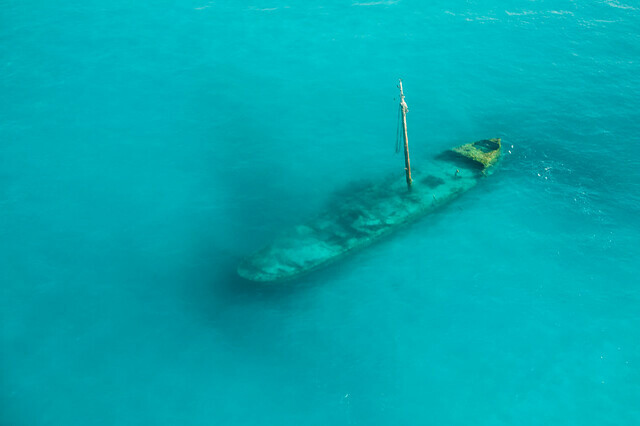 This is what we sailors refer to as "A Bad Day Boating"